Get your pals together and head to Crete with this great package holiday over at Thomson. For just £142 each you can enjoy a lovely break with the jam packed night life right on your door step. 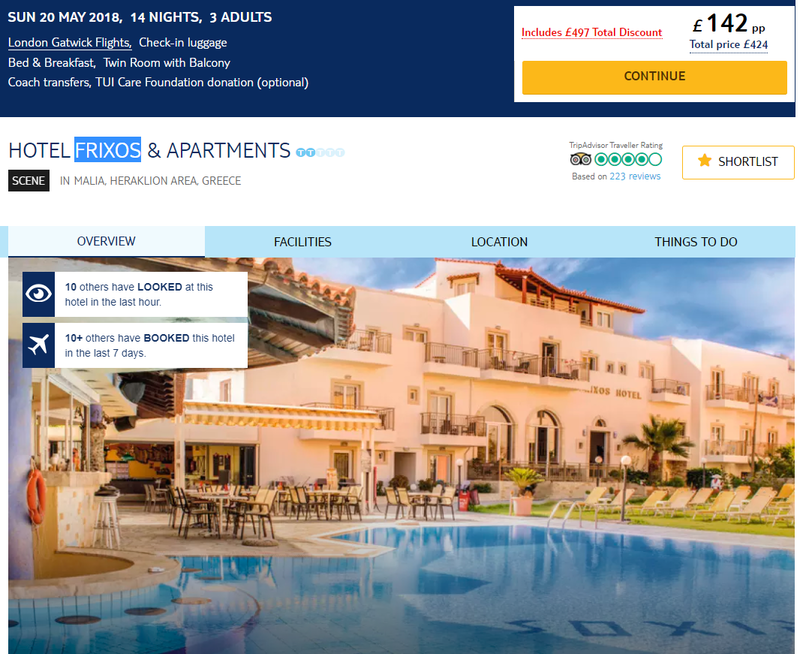 You will be staying at the Hotel Frixos & Apartments which have great reviews on Trip Advisor given this low price and an average rating of 4/5. They have also been awarded a Certificate of Excellence Award. 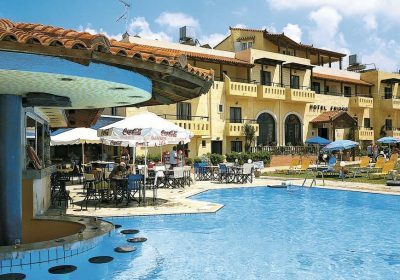 In the heart of Malia’s buzzing strip, this lively property is a great base for enjoying the town’s beaches and nightlife. There’s a decent-sized pool with a swim-up bar, too. It’s the friendly atmosphere that draws guests back to the Hotel Frixos & Apartments year after year. There’s a social pool area and a bar serving big buffet breakfasts. This place is a 5-minute walk away from the main strip, tucked between shops, restaurants, bars and nightclubs. It’s only about a 15-minute walk from a couple of beaches, too.